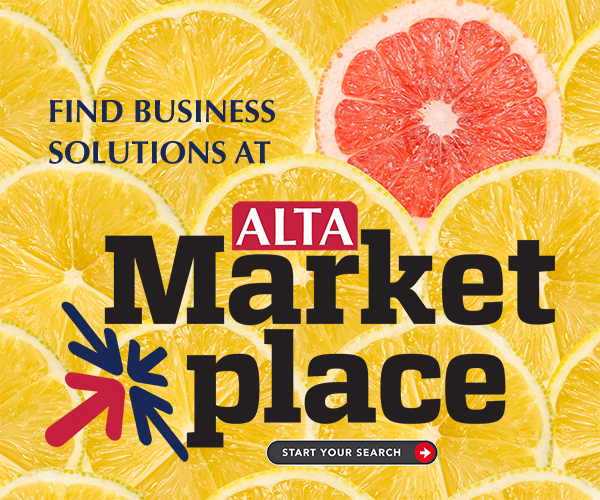 Did you know that more than 5,000 of your competitors’ locations are already confirmed in the ALTA Registry? We want to make sure you don’t miss out. Joining the ALTA Registry is free. Just because you're an ALTA member or have an ALTA Policy Forms License does not mean your company is in the Registry. The ALTA Registry helps members stand out from the crowd. Updated nightly, it’s the only online, title industry database where your details are confirmed by your underwriters. Be part of the solution: Update your ALTA records and get confirmed today at www.alta.org/registry.